For those who know me, I am not a fan of New Year’s Eve. A night usually filled with grand plans later supplanted by disappointment (I knew I was not alone! ), I decided to take it easy and watch a New Year’s Eve movie or two with one of my roommates. After Bridge of Spies, a solid film starring one of my favorite actors, we still had a few hours to kill before midnight and I was running out of options in my collection of SAG screeners. 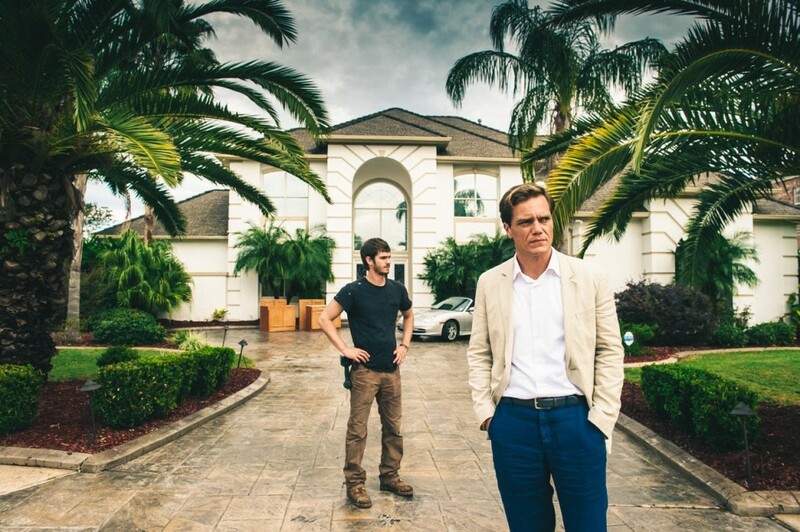 Despite its not so festive nature, Ramin Bahrani’s 99 Homes was sitting there intriguing as hell and featuring one of my other favorite actors, Michael Shannon (especially after his little surprise turn in The Night Before, the Gatsby moment being one of the top comedy movies moment in recent memory). Grim looking vibe aside, we went for it agreeing that if we weren’t feeling it we would turn it off. But this film is just too damn provocative. It follows blue-collar, single-father handyman Dennis Nash (Andrew Garfield) who loses his house to foreclosure and attempts to get it back by making a deal with the possibly sociopathic real estate broker Rick Carver (Shannon), an accomplice in the eviction that took Nash’s family home. Nash’s end of the deal? He only has to evict people from their own family homes. Carver repeats this as a sort of demi-mantra for Nash and his devilish nature is frequently slightly outweighed by Shannon’s inherent likability as a very smart actor; he fools you for a second or two into thinking these and some other great quotes he rattles off are sage words as to how to stay afloat in the fraudulent system that ruined the lives of millions (that system fascinatingly portrayed in the already mentioned The Big Short by the way…seriously check that one out too). As far as 99 Homes is concerned, many families became homeless by trying to hold onto unaffordable real estate because of emotional attachment. But of course these poor people were being completely and utterly dicked over. And therein lies the conflict that holds you steady for the entirety of this movie, that those responsible for the crisis are kind of smart men and women who took advantage as a means to succeed and survive. Sometimes they seem right, most of the time they are completely wrong but trying to survive financially in a society led by the morally f**ked up while maintaining a healthy/happy life is an increasingly immense balancing act, isn’t it?